The Bench comprising Justice J. Chelameswar, Justice Shiva Kirti Singh and Justice Abhay Manohar Sapre was hearing appeals filed by Prabhu Chawla and Jagdish Upasane challenging the judgment of the Rajasthan High Court, whereby, it dismissed the petitions preferred by them under Section 482 CrPC. The appellants had challenged before the Rajasthan High Court an order dated November 30, 2006, passed by the Judicial Magistrate of Jodhpur, whereby it took cognizance against the appellants under Section 228A of the IPC and summoned them to face further proceedings in the case. The High Court held the petitions to be not maintainable in view of the judgment of Rajasthan High Court in the case of Sanjay Bhandari vs State of Rajasthan holding that an availability of remedy under Section 397 CrPC would make a petition under Section 482 CrPC not maintainable. 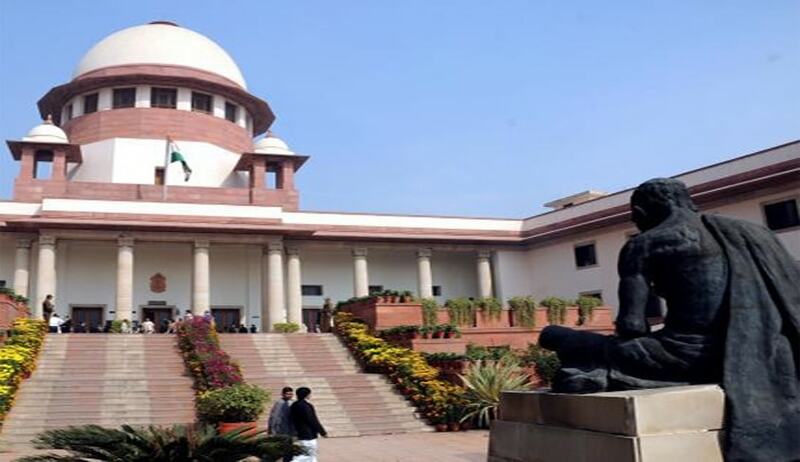 While considering all these matters at the SLP stage, on July 5, 2013, a Division Bench of the Supreme Court had found the impugned order of the High Court to be against the law stated in Dhariwal Tobacco Products Ltd. and Ors. vs State of Maharashtra and Another . In that case, the Division Bench concurred with the proposition of law that the availability of an alternative remedy of criminal revision under Section 397 CrPC by itself cannot be a good ground to dismiss an application under Section 482 of CrPC. But the Bench noticed that a later Division Bench judgment of the Supreme Court in the case of Mohit alias Sonu and Another vs State of Uttar Pradesh and Another apparently held to the contrary that when an order under assail is not interlocutory in nature and is amenable to the revisional jurisdiction of the High Court, then there should be a bar in invoking the inherent jurisdiction of the High Court. In view of such a conflict, these cases were directed to be placed before the Chief Justice for reference to a larger Bench. The Bench also held that the Bivision Bench, in the case of Mohit alias Sonu and another did not state the law correctly, particularly in paragraph 28, in respect of inherent power of the High Court in Section 482 of the CrPC. Allowing the appeals, the Supreme Court has remitted back the matters to the High Court for fresh hearing of the petitions under Section 482 of the CrPC. The court has also directed the High Court to hear and decide the matters expeditiously, preferably within six months.